AllPro Painters 5 Year Warranty! We believe in using high quality paints and professional workmanship on every home we paint. To prove our commitment to quality, AllPro offers the longest and best warranty in the industry on our residential paint jobs! 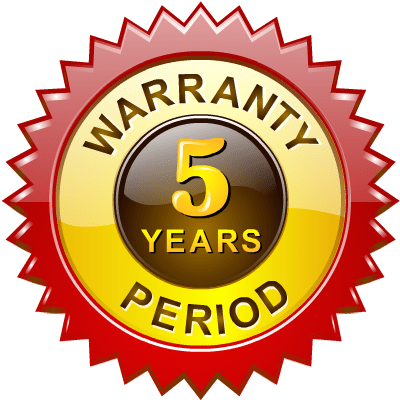 Our warranty covers any peeling, flaking and blistering of the newly applied paint which is due to poor or improper workmanship for up to 5 years from the contract date. Provide a copy of the original painting contract between AllPro and the owner. This warranty is non-transferable. Contact us within the warranty period and as soon as the painting defect is apparent so that no additional damage to the substrate will occur. Show proof that the contract was paid in full. Must be for a single family residence located in Nevada. Repair failed painted or stained areas by preparing the surface as stated in the contract and touch-up paint or stain the same as stated in the contract. Repair failed painted or stained areas where the paint or stain is peeling, chipping or blistering. The paint or stain color and sheen may match exactly due to aging and possible fading. Repair failed painted or stained areas with no labor cost to the client. Chipped, cracked, or stained paint due to abuse or “wear and tear”, pet soiling etc. Commercial, Multifamily, and Non-Residential paint jobs.